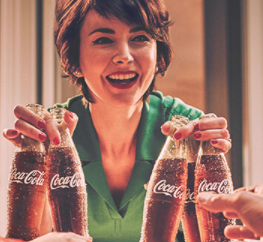 Coca-Cola Holiday Sweepstakes (100 Winners!) | FreebieOrBust Freebies! Now through December 25th, you can enter this Coca-Cola Holiday Sweepstakes for your chance at winning 1 of 100 FREE cookbooks ($11 value)! Make sure to enter everyday to get more entries in. Good Luck! Void in AK, DC, HI, ID, MT, ND, WA, and WY. (Thanks, Nicole!) If you like this offer, get instant updates on Facebook!